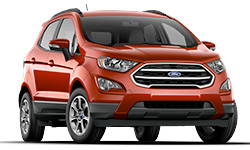 The 2018 Ford Escape from Pompano Ford in Florida, serving Fort Lauderdale and Deerfield Beach, is an SUV for the unstoppable driver. Your life is always moving forward, and you deserve an SUV that does the same. 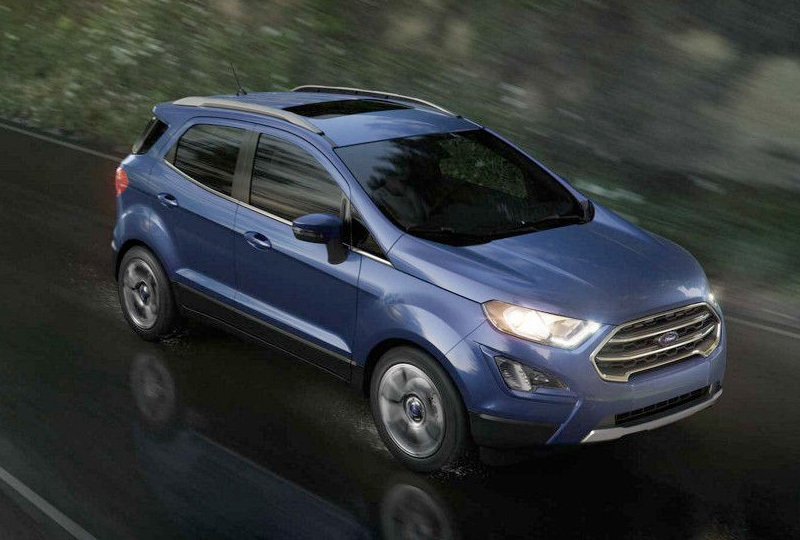 Each year, the 2018 Ford Escape gets better with more modern technology and distinctive design. This year is no different. The remarkable Titanium trim features a powerful 2.0L Twin Scroll Ecoboost engine, and the S trim has a 2.5L iVCT I-4 engine. Available 4WD can let you tackle rough terrain with ease, and seating for four passengers means the whole family can tag along for the ride. A 60/40 split-folding rear seat creates bonus space for cargo when needed. Remote keyless entry is a standard feature that works through an integrated key FOB. The rearview camera is always looking out for you in reverse so you can back up without fear. 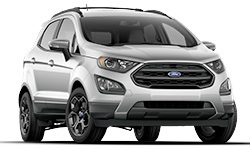 Browse our online inventory of 2018 Ford Escapes, then call Pompano Ford at 888-718-9266 to schedule your test drive, or visit our showroom located at 2741 North Federal Highway, Pompano Beach, FL. EcoSport SES. Drive the good life. 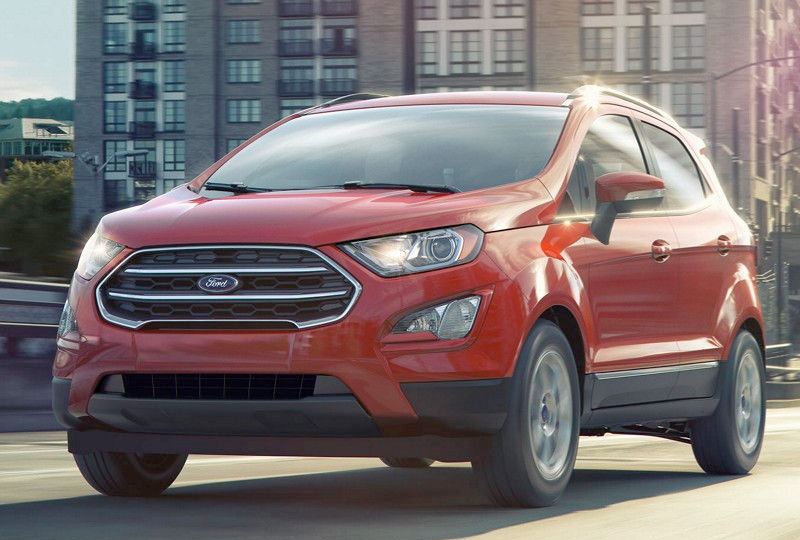 Choose EcoSport SES and you'll enjoy a standard 2.0L engine, Intelligent 4WD and sport-tuned suspension, be embraced by partial leather seats and be surrounded by copper accents and bold, black exterior details. You're not going anywhere? Conserve your energy. Auto Start-Stop Technology can help reduce fuel consumption and emissions. 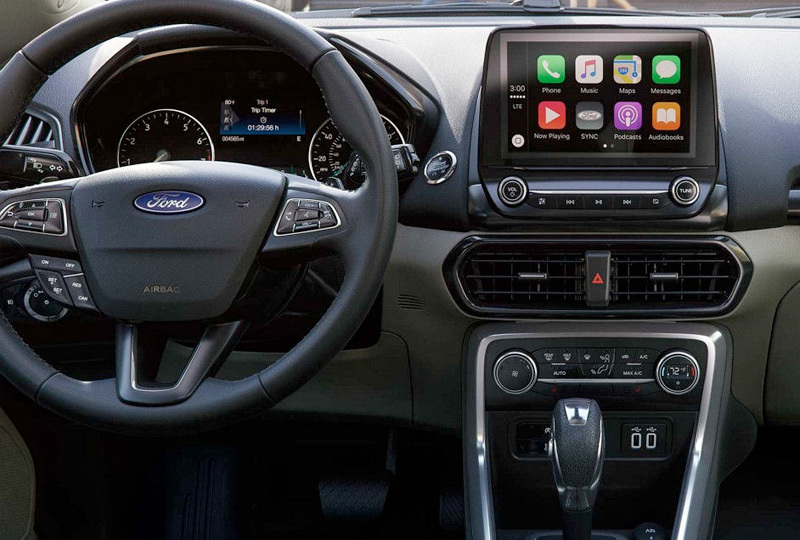 Available SYNC® 3 with 8-inch touchscreen. SYNC® 3 with Apple CarPlay® and Android Auto™ compatibility that offers enhanced voice-recognition capability and an available 8-inch color LCD touchscreen with swipe and pinch-to-zoom navigation capability.